Israel fired back at Secretary of State John Kerry on Wednesday, with Prime Minister Benjamin Netanyahu blasting Kerry’s lengthy televised rebuke of the Middle Eastern democracy. Netanyahu, speaking in Jerusalem just over an hour after Kerry’s speech had ended, said Kerry's rhetoric was "as unbalanced as the anti-Israel resolution passed [at the United Nations] last week." Netanyahu said. "Secretary Kerry paid lip service to the unrelenting campaign of terror that has been waged by the Palestinians against the Jewish State," he said, later adding: "Israelis do not need to be lectured about the importance of peace by foreign leaders." Netanyahu said. "We have it on absolutely incontestable evidence the U.S. organized, advanced and brought this resolution to the Security Council," said Netanyahu, who promised to share the "sensitive" intelligence with the incoming administration of President-elect Donald Trump. The incoming Donald Trump administration is considering a "public-private option" for military veterans to get health care, a senior aide to the president-elect said on Wednesday. Trump spoke briefly with reporters after a day of meetings, including talks with top health industry officials, but initially left explaining the details — what there were of them — to his staff. Wednesday night, Trump emerged from his Florida resort, Mar-a-Lago, to speak for himself. "Well, I don't want to see veterans waiting in line for two weeks, and you know, in many cases, they have a minor illness, and it takes so long to see a doctor, it turns out to be a major illness and beyond that. And I don't want to see that anymore. So we'll see what happens ... The doctors were explaining to me today — things that can be taken care of quickly, when you wait too long, it's life-threatening. People are dying. So we're going to fix it properly, not like it's been done over the past, ok?" The official who spoke to reporters in Florida and went unnamed in pool reports emphasized nothing's been decided, but there's "an option on the table to have a system where potentially vets can choose either or, or all private." President-elect Donald Trump and his wife Melania attended Christmas Eve services Saturday night at the Florida church where they were married in 2005, receiving cheers and a standing ovation from attendees. The Trumps reportedly arrived at around 10:30 p.m. at the Episcopal Church of Bethesda-by-the-Sea in Palm Beach, where the Rev. James Harlan delivered a Christmas Eve sermon. Video taken at the church shows the President-elect and his wife receiving a round of applause and a standing ovation as they entered. Trump reportedly took communion and left at around 12:30 a.m., according to the Post. Trump is spending the holidays with his family at his Mar-a-Lago resort in Palm Beach, a short drive from the church. Donald and Melania Trump were married at the Episcopal Church of Bethesda-by-the-Sea in 2005. There may not be more power in golf at any time in one place than there is at Trump International Golf Club today. President-elect Donald Trump and Tiger Woods arrived together at the West Palm Beach, Fla., club to play Friday morning. Woods has played golf with a president before, teeing it up with Barack Obama in 2013 at The Floridian in Palm City, Fla. The 14-time major champion also recently returned to the competitive game, garnering a promising, if messy, 15th-place finish at the 18-man Hero World Challenge. Woods and Trump have crossed paths in the past, like when the president-elect awarded Woods the 2013 WGC-Cadillac Championship winner’s trophy at Trump Doral. Woods is also designing a course in Dubai to be named Trump World Golf Club Dubai. President-elect Donald Trump condemned the attack at a Christmas market in Berlin as "an attack against humanity" on Wednesday. Trump on Monday blamed the Berlin attack, which killed 12 people, on Islamist terrorists who "continually slaughter Christians in their communities and places of worship as part of their global jihad." Asked about that statement by reporters outside his Mar-A-Lago resort in Palm Beach, Florida, on Wednesday, he said, "It's an attack on humanity, and it's gotta be stopped." Trump said. "What's happening is disgraceful," Trump continued, adding that he has not talked to President Barack Obama since the Berlin attack or the assassination of a Russian ambassador in Turkey, both on Monday. President-elect Donald J. Trump received congratulatory wishes from three additional world leaders. 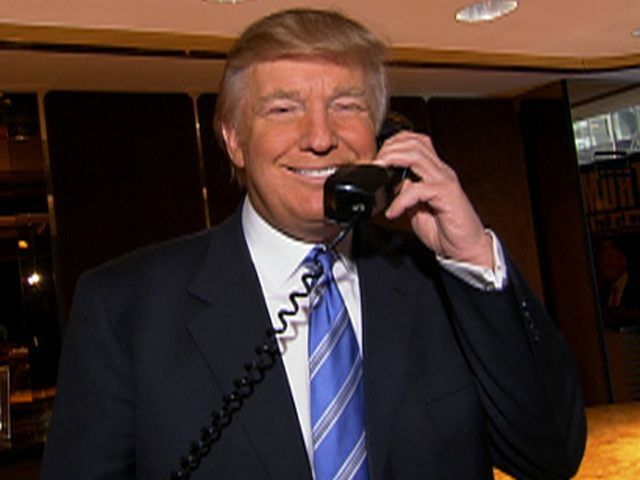 President-elect Trump spoke on the telephone with President Michel Miguel Elias Temer Lulia of Brazil. His Majesty King Hamad bin Isa Al Khalifa of Bahrain offered his congratulations to President-elect Trump on winning a historic election. President-elect Trump also received congratulations from Prime Minister Nguyễn Xuân Phúc of Vietnam. The President-elect and the Prime Minister discussed a range of shared interests and agreed to work together to continue strengthening the relationship between the two nations. On this Tuesday morning the President-elect met with 'long-time friend' Kanye West for about 30 minutes at Trump Tower. Kanye West, an educated rapper/poet announced his own bid for president for the upcoming 2020 Election During MTV's 2015 VMA'S Whe're he slammed MTV for political correctness. West told the audience "yes as you probably could have guessed by this moment I have decided, and 2020 to run for president" During a lengthy discussion with 'In Camera', West revealed that his announcement at the VMAs was not a spur of the moment decision. “Yea”, Kanye responded with a straight face when asked if he is “definitely” running. "I would like to sit with engineers and come up with solutions and alternatives for people without opportunity that end up having to go through desperate measures" he explained. "I think the way I collaborate with people, the way that I empower the people I collaborate with … is a different way to problem solve than a normal political way. I want to just, ask questions." Following their meeting, Trump told the press, “We’ve been friends for a long time.” There discussion was about 'life'.